Credit: Credit: A. Corichi and J. P. Ruiz. When stars collapse, they can create black holes, which are everywhere throughout the universe and therefore important to be studied. Black holes are mysterious objects with an outer edge called an event horizon, which traps everything including light. Einstein’s theory of general relativity predicted that once an object falls inside an event horizon, it ends up at the center of the black hole called a singularity where it is completely crushed. At this point of singularity, gravitational attraction is infinite and all known laws of physics break down including Einstein’s theory. Theoretical physicists have been questioning if singularities really exist through complex mathematical equations over the past several decades with little success until now. LSU Department of Physics & Astronomy Associate Professor Parampreet Singh and collaborators LSU Postdoctoral Researcher Javier Olmedo and Abhay Ashtekar, the Eberly Professor of Physics at Penn State developed new mathematical equations that go beyond Einstein’s theory of general relativity overcoming its key limitation–the central singularity of black holes. This research was published recently in Physical Review Letters and Physical Review D and was highlighted by the editors of the American Physical Society. Theoretical physicists developed a theory called loop quantum gravity in the 1990s that marries the laws of microscopic physics, or quantum mechanics, with gravity, which explains the dynamics of space and time. Ashtekar, Olmedos and Singh’s new equations describe black holes in loop quantum gravity and showed that black hole singularity does not exist. “In Einstein’s theory, space-time is a fabric that can be divided as small as we want. This is essentially the cause of the singularity where the gravitational field becomes infinite. In loop quantum gravity, the fabric of space-time has a tile-like structure, which cannot be divided beyond the smallest tile. My colleagues and I have shown that this is the case inside black holes and therefore there is no singularity,” Singh said. “These tile-like units of geometry–called ‘quantum excitations’– which resolve the singularity problem are orders of magnitude smaller than we can detect with today’s technology, but we have precise mathematical equations that predict their behavior,” said Ashtekar, who is one of the founding fathers of loop quantum gravity. “At LSU, we have been developing state-of-the-art computational techniques to extract physical consequences of these physical equations using supercomputers, bringing us closer to reliably test quantum gravity,” Singh said. Einstein’s theory fails not only at the center of the black holes but also to explain how the universe was created from the Big Bang singularity. Therefore, a decade ago, Ashtekar, Singh and collaborators began to extend physics beyond the Big Bang and make new predictions using loop quantum gravity. Using the mathematical equations and computational techniques of loop quantum gravity, they showed that the Big Bang is replaced by the “Big Bounce.” But, the problem of overcoming black hole singularity is exceptionally complex. 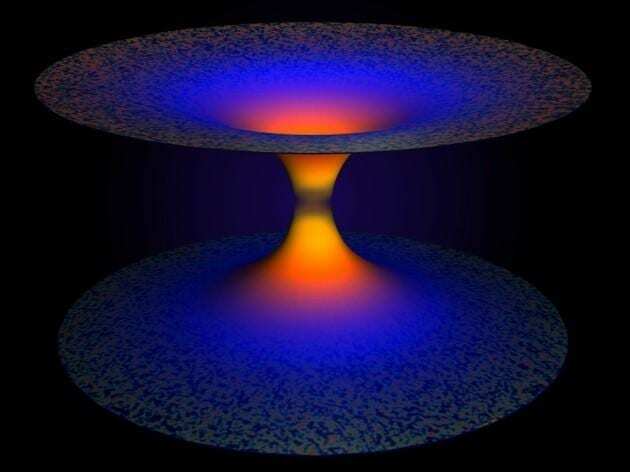 “The fate of black holes in a quantum theory of gravity is, in my view, the most important problem in theoretical physics,” said Jorge Pullin, the Horace Hearne professor of theoretical physics at LSU, who was not part of this study.